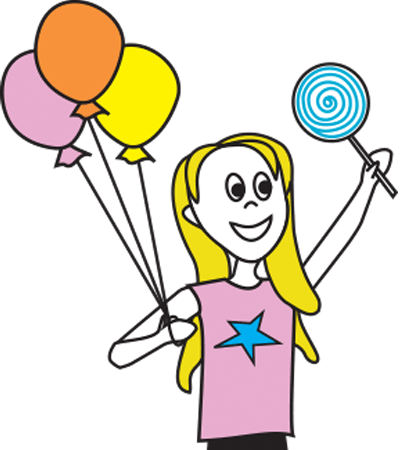 Excited kids who enter the candy store usually need to be calmed down by their parents – but the tables have turned! 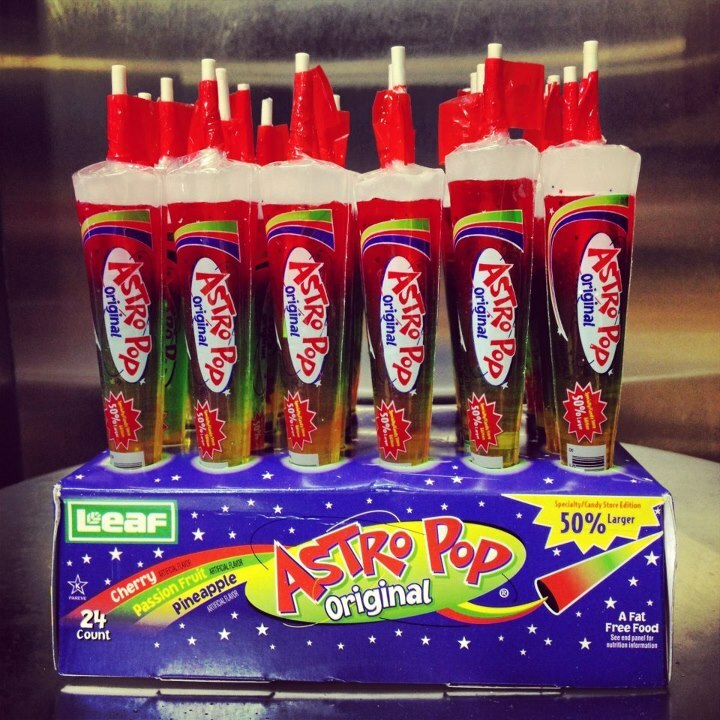 Its the kids having to calm down their parents after they see Astro Pops back on the shelves! Having worked in the candy store for almost two years, one of the most common requests I had was ‘Do you carry Astro Pops?’ – followed by much disappointment as the customer was told they had been discontinued many years ago. I grew up in England where Astro Pops were not even heard of so I was unsure what all of the fuss was about – turns out they are rather a big deal! 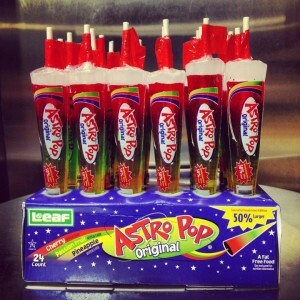 Since being discontinued in 2004, Astro Pops are finally being made again and we had our first delivery at the beginning of July. Almost 300 Astro Pops have been snapped over the last six weeks and it is great for us to see the excitement our customers have at seeing their childhood treats for sale again, and being able to share their memories with their own children. Astro Pops were created in the 1960’s by two rocket scientists who quit their day jobs to create, not only the Pop itself, but the equipment needed to manufacture them. I guess being a rocket scientist was just too easy!! 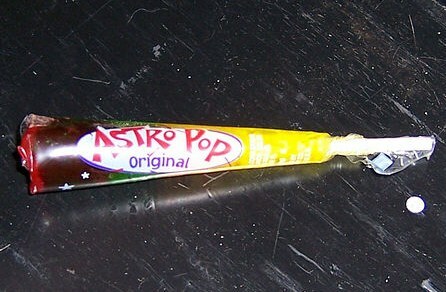 In the year 2000, another manufacturer who had acquired the Astro Pop decided that they would be better suited if the stick was inserted into the opposite end to give the consumer more lick-able surface, which upset the consumers greatly. Seems a silly idea to me – especially as it was rocket scientists who created them in the first place! I am yet to sample an Astro Pop but it it always fun to see our customers having a blast from their past! Have you tried our popcorn yet?